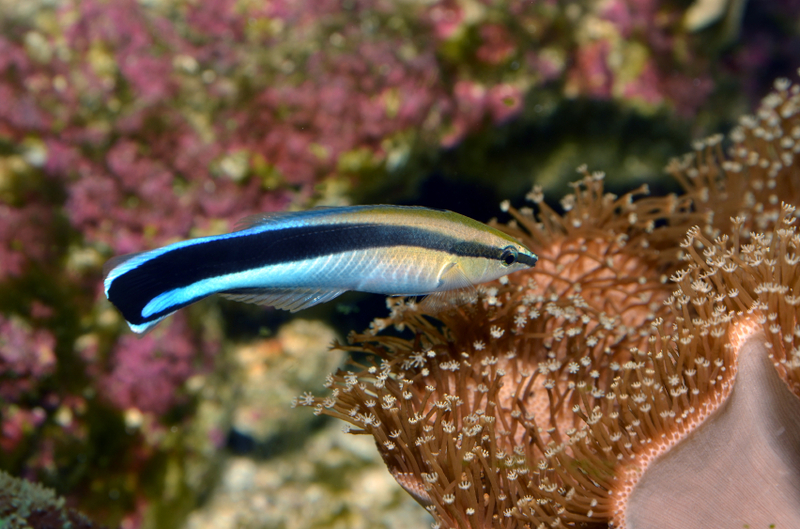 Labroides dimidiatus, better known as cleaner fish, provides a cleaning service to a lot of coral reef fish. This fish invites its ‘clients’ to get cleaned by performing a real ‘cleaning dance’, swimming around them with particular undulating movements. Moreover, the cleaner fish gives its client precise instructions, informing it to lift its gill cover, to spread its fins well and to keep its mouth open so that the cleaner can move in and out freely until the work is finished.